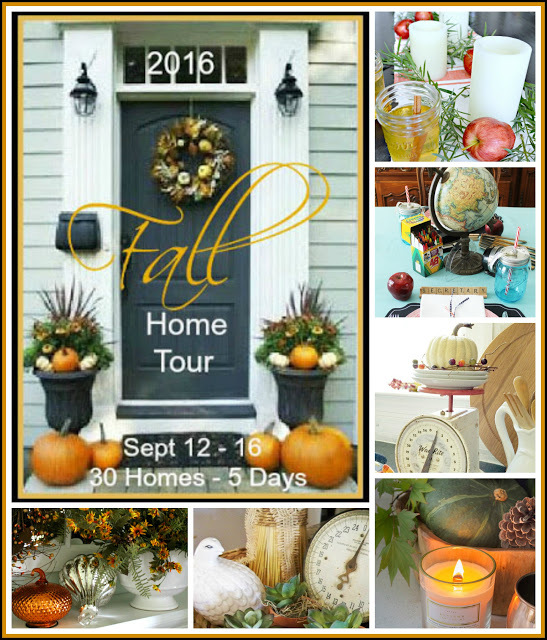 Hi friends and welcome to our 2016 Fall home tour! If you are here from A Stroll Through Life welcome. Marty’s home, no matter the time of year is always absolutely beautiful and full of inspiration! 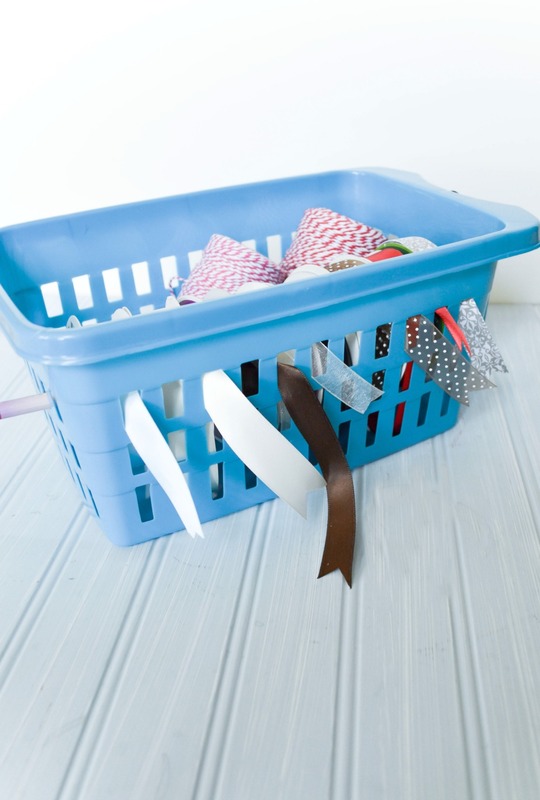 She has so many wonderful ideas from crafting, decorating and DIY. I feel honored to be invited to participate in this year’s fall home tour so thank you Marty for including me. If you’re dropping by here for the first time, welcome! 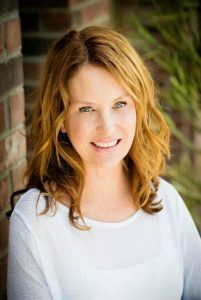 My name is Kristin, I live in San Diego with my amazing husband, three sweet boys, and three crazy dogs. 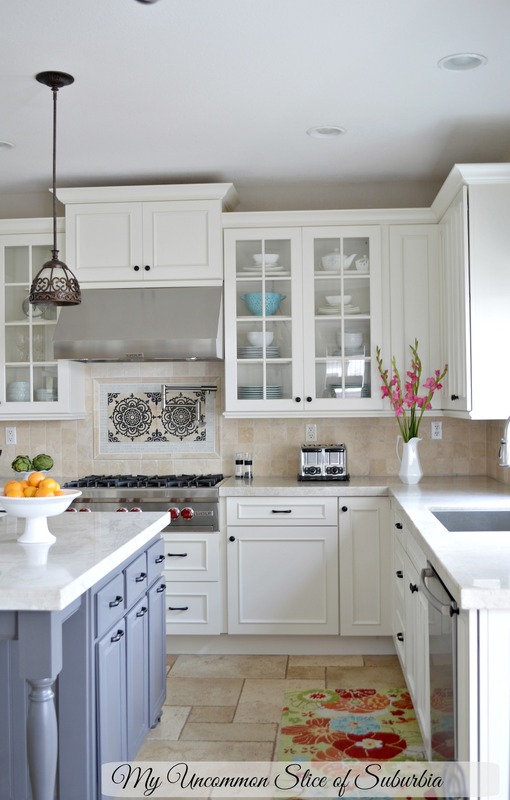 My husband and I work hard at transforming our builder grade house into a home we love. We are still enjoying our long Summer days but I am loving the small subtle hints that tells us fall is just around the corner. There is simply so much about this season to celebrate. From the sweet smells of baked goods, the falling leaves, cooler nights, foggy mornings and let’s not forget about boots and sweaters. I love neutrals and texture, the simplicity of it makes me happy. 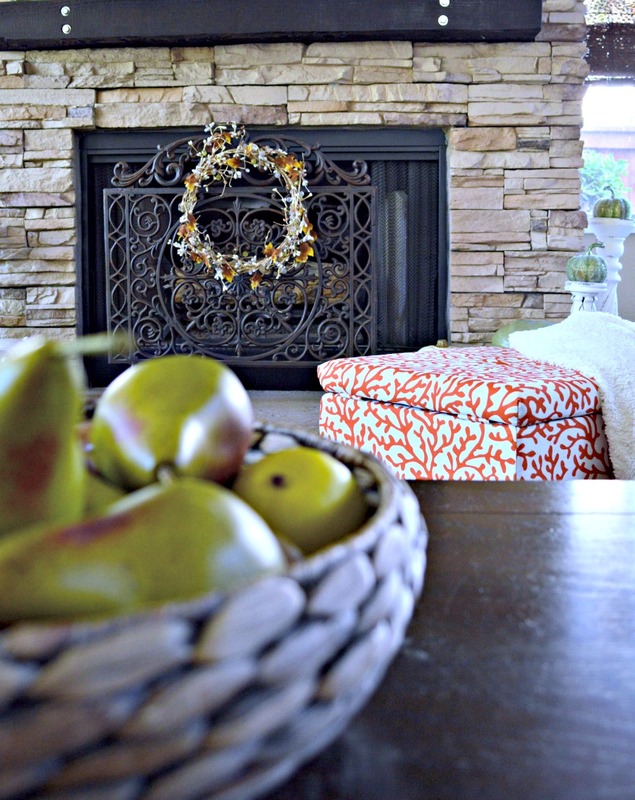 You will find some small hints of fall mixed in with little pops of color in our home this year, the laid back feel our family loves. 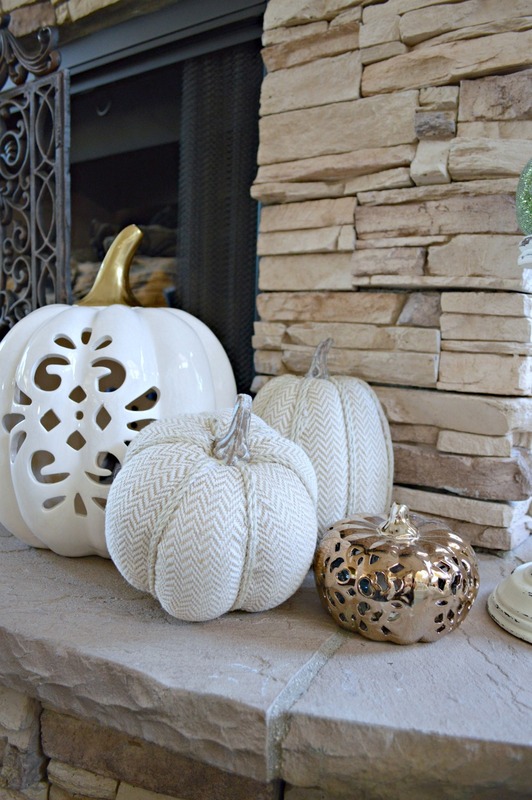 I found these burlap and twine pumpkins at Target for $3 each and couldn’t pass them up. Every other Fall touch came from nature or was reused from years past. This sign means so much to our family. Not only did it get us through one of our roughest times life has thrown at us, it is a gentle reminder of how we should live life on a daily basis. You create your own custom sign at my beautiful friend’s shop, House of Belonging. 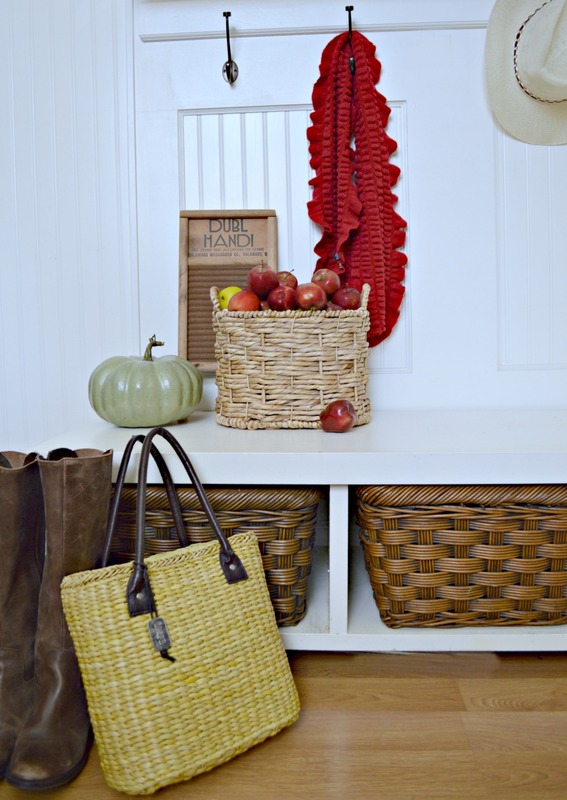 In the mudroom/office I tried my best to clear all the junk and add a few small fall touches with a some pops of color. 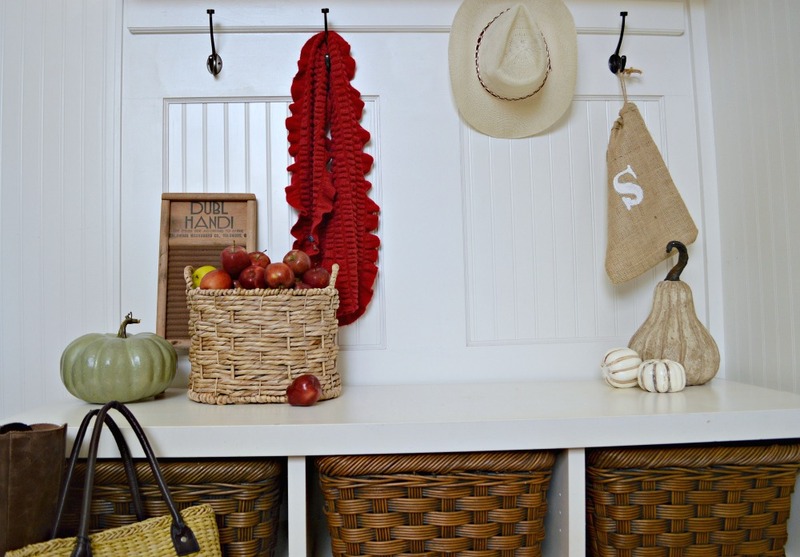 You can see how we transformed this small garage into our office/mudroom area. In the kitchen I brought it what nature has given to us. 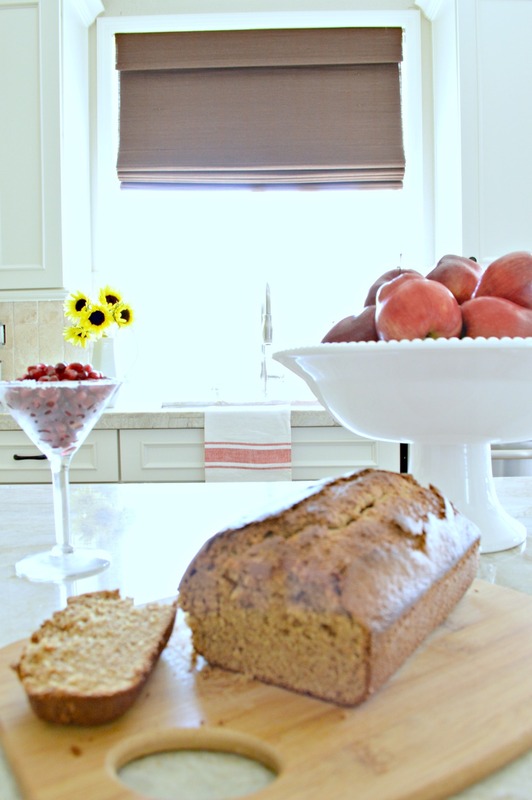 Lots of fresh fruit, greens from the outdoors mixed with mason jars and tea towels. 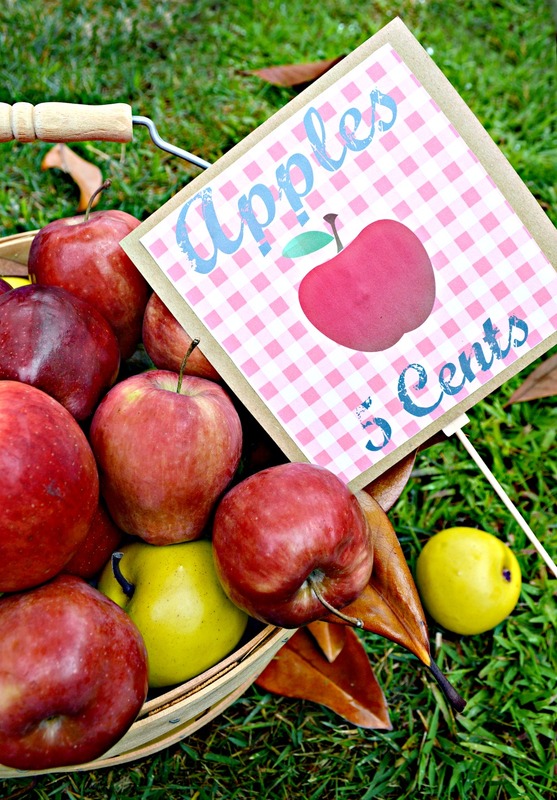 I’ll be sharing this free apple printable later this week so make sure and check back in! 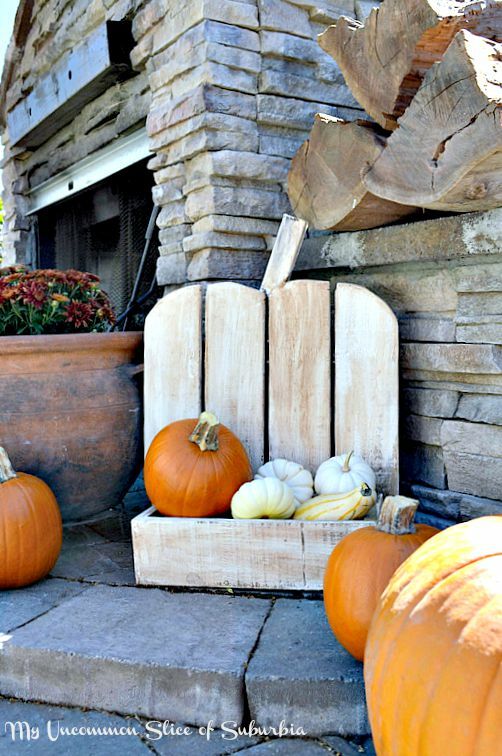 If you are looking to make your own rustic pumpkin stand, I have a tutorial up right here. It’s the perfect addition to our outdoor fireplace. That brings my tour to an end, thank you so much for stopping by! Make sure to stop by and visit my sweet friend Christina from Remodelando La Casa! I have been a huge fan of Christina’s for many years. She has mad DIY skills and a beautiful home. 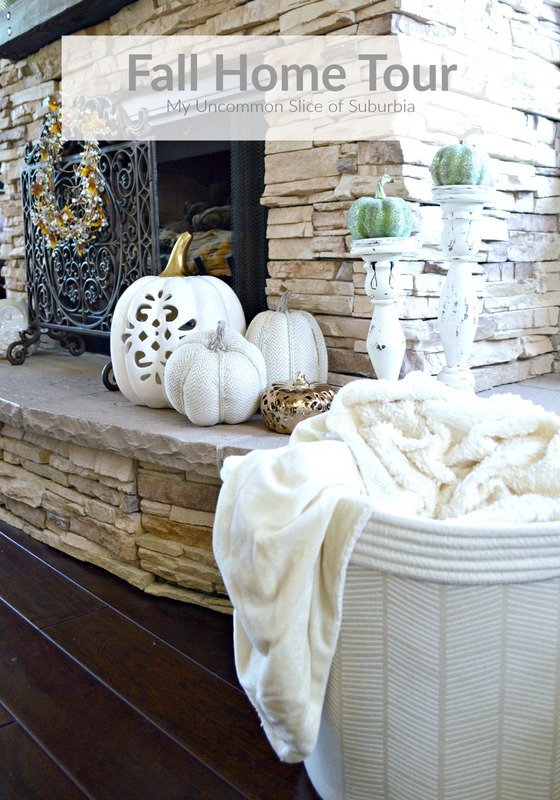 I know you are going to love her Fall home tour! Make sure to check out the entire line up of the 30 beautiful ladies who are opening their homes over the next 5 days. Thanks so much for dropping by our little tour for fall. 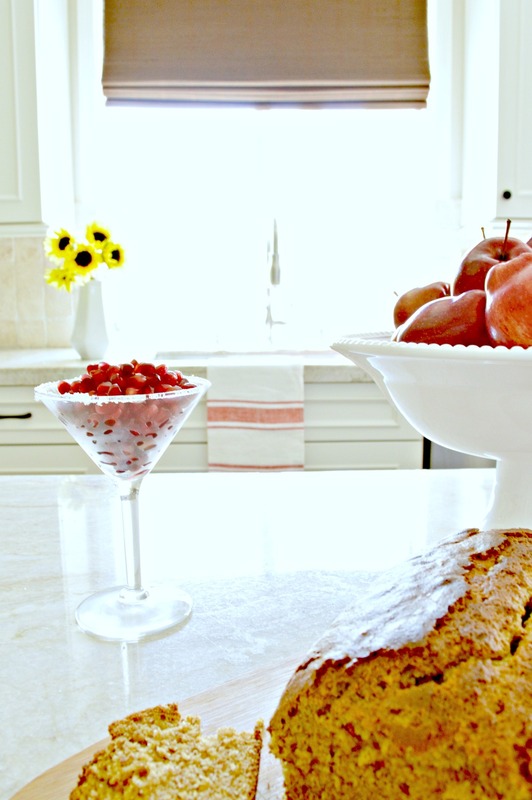 the table with the apples looks so inviting! love the color mix there! Your home is so pretty and I love the apples with the greens. Great pumpkin collection too! 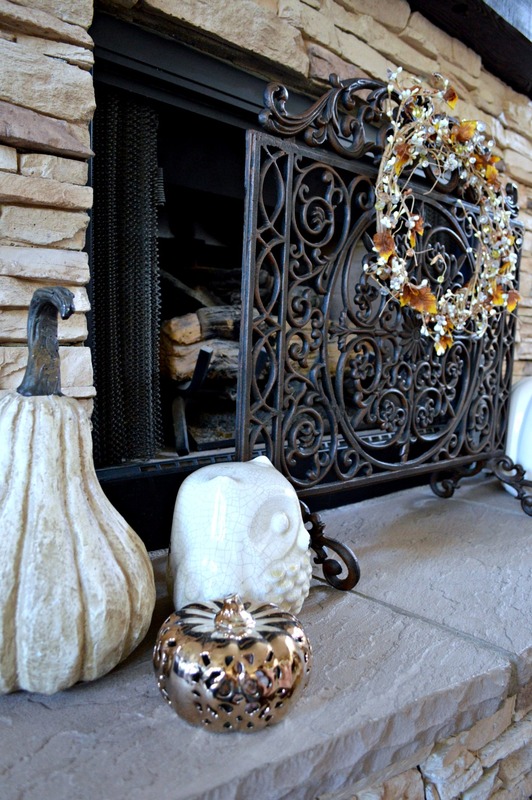 I always love your style and how you add elements for each season to your home. Beautiful tour. Thank you Marty and thank you for having me be a part of the tour! It’s always a nice treat to tour your beautiful home, Kristin! Nothing like using those elements mother nature graciously makes. It’s all so fresh and inviting! Kristin what a delight your tour was. 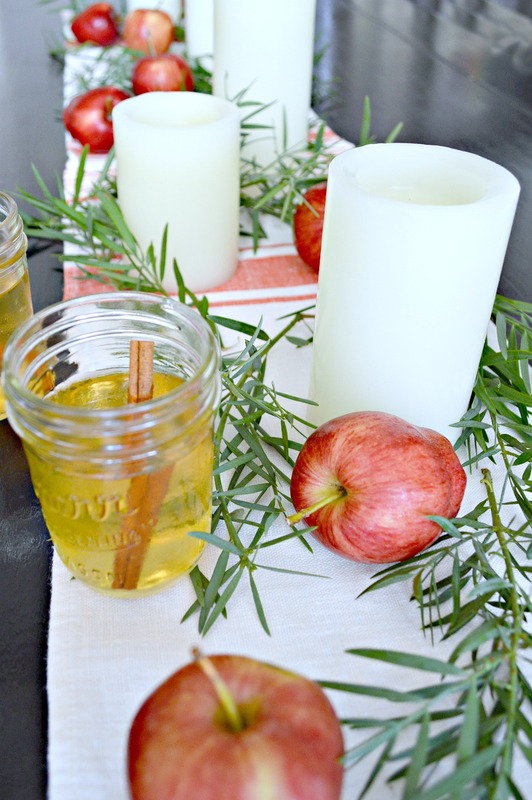 I adore all of the seasonal touches. YOur is just so beautiful, no matter the season Kristin! 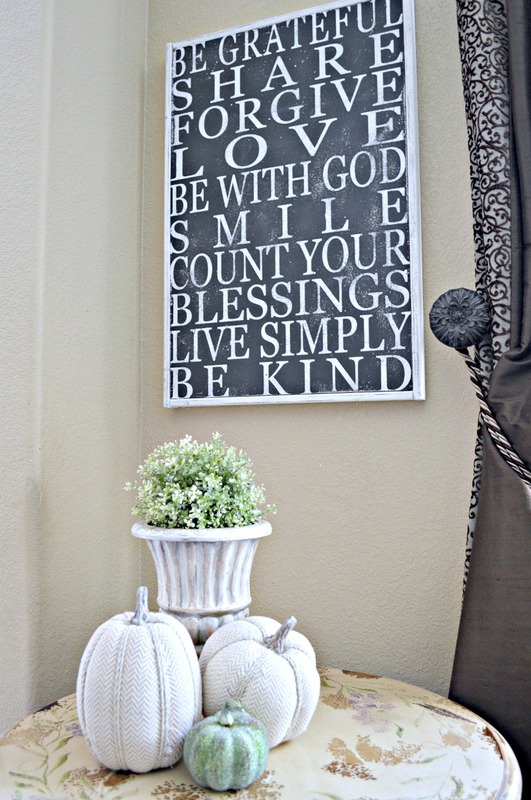 Love all your simple and pretty fall touches around the house!So honored to share this Fall tour with you! Thank you Vel, happy Fall! So, so pretty, Kristin! You never disappoint! 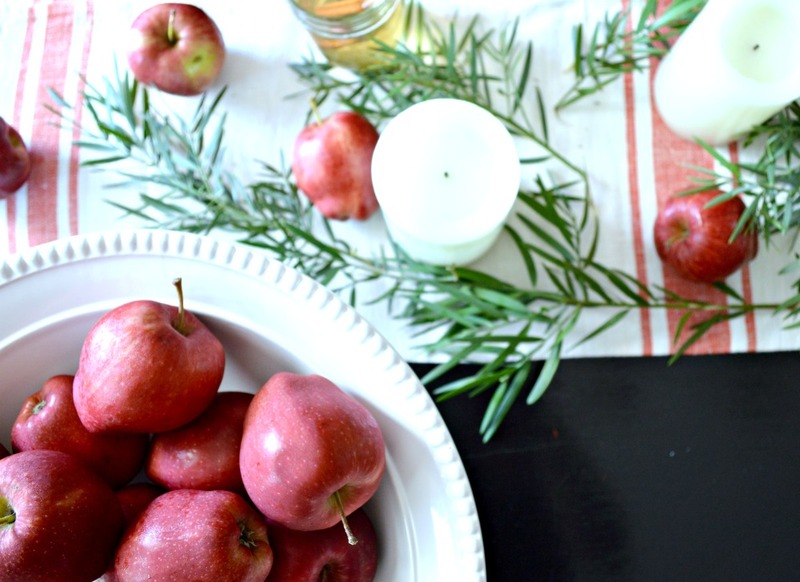 Kristin, I love everything about your fall decor, but especially those beautiful red apples! I love your sign, too! Did you make it or buy, and if the latter, where did you buy it from? Everything is just lovely Kristen. 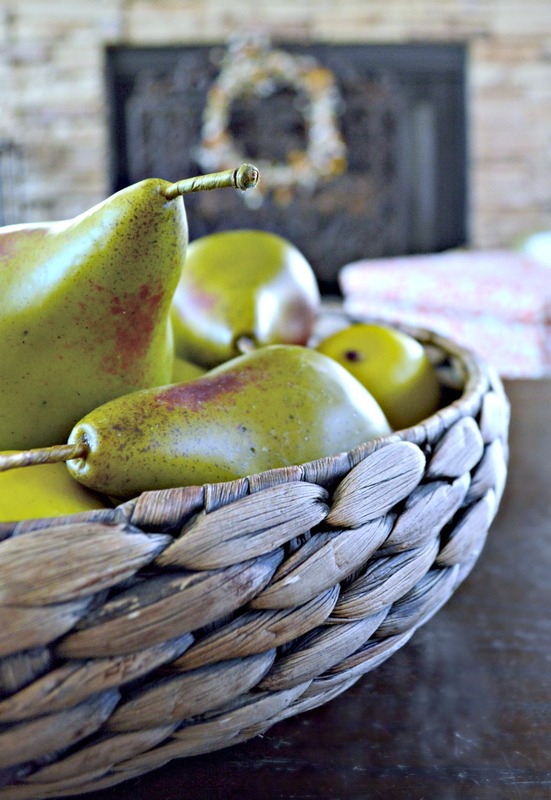 From the pretty pumpkins on your hearth to the beautiful apples in that darling basket, you home looks so comfy and cozy…the perfect fall touches. Thank you Barbara, so sweet of you! 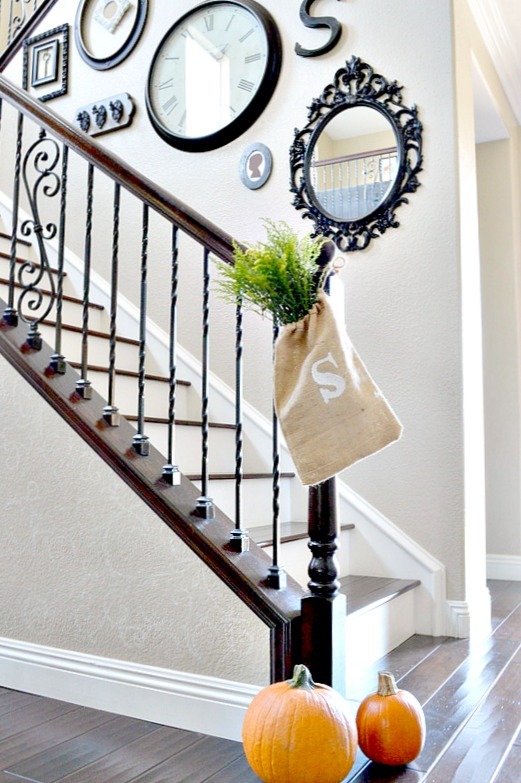 Your home looks absolutely gorgeous and all ready to welcome the Fall! 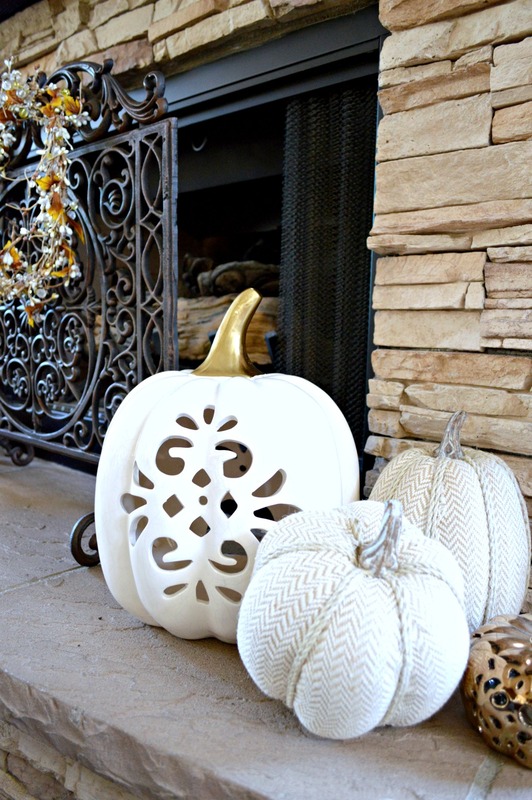 I love the pops of vibrant color paired with your beautiful white pumpkins (and your chevron ones, too … I scooped a couple of those up at Target, too)! The natural elements you included are perfect! I know I have told you this in the past but your blog and home was one of my first follows when I started to read blogs. 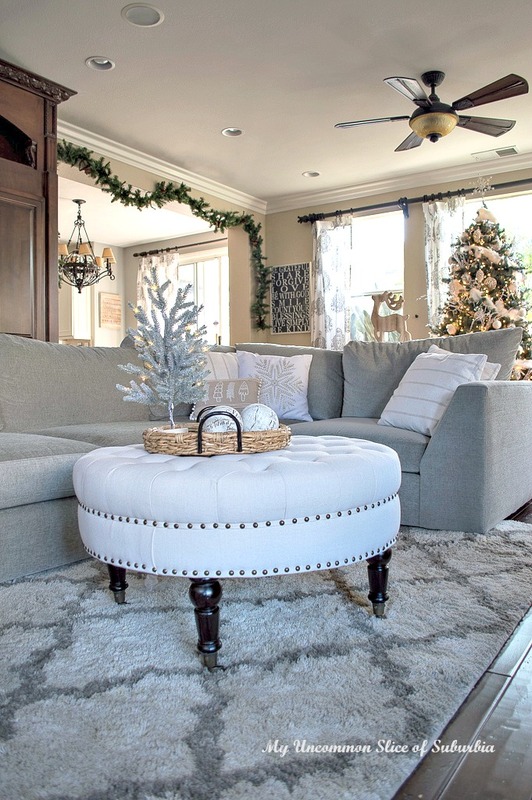 always so well put together and styled, and yet livable and cozy. Knowing my kids, I am sure your sweet little guys help to make it that way! Thank you Laura and you know I adore your beautiful and crazy farm! SO pretty! 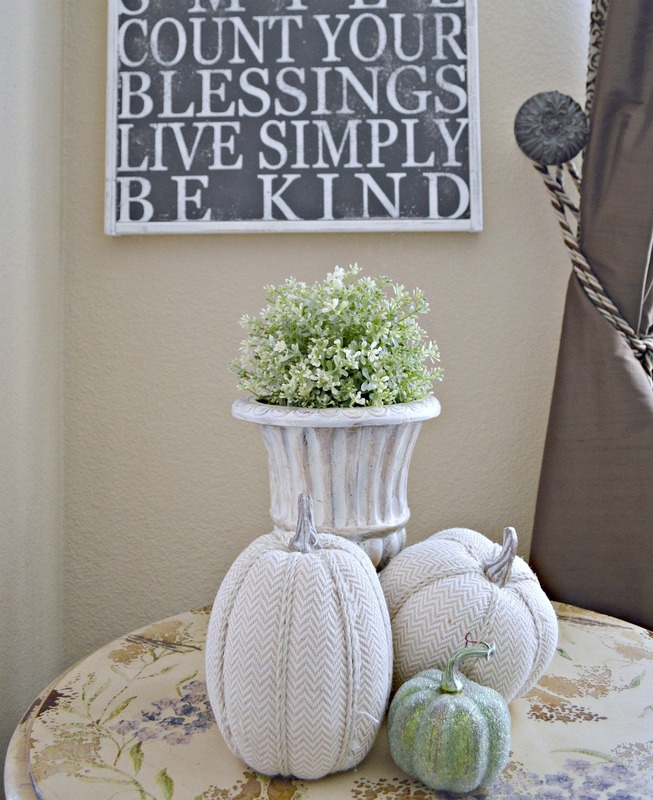 I just love fall and the simplicity! Thank you so much Tammy, I appreciate you stopping by! 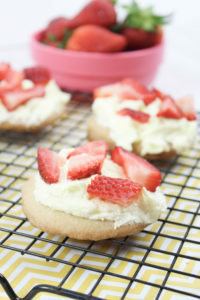 So pretty, Kristin! 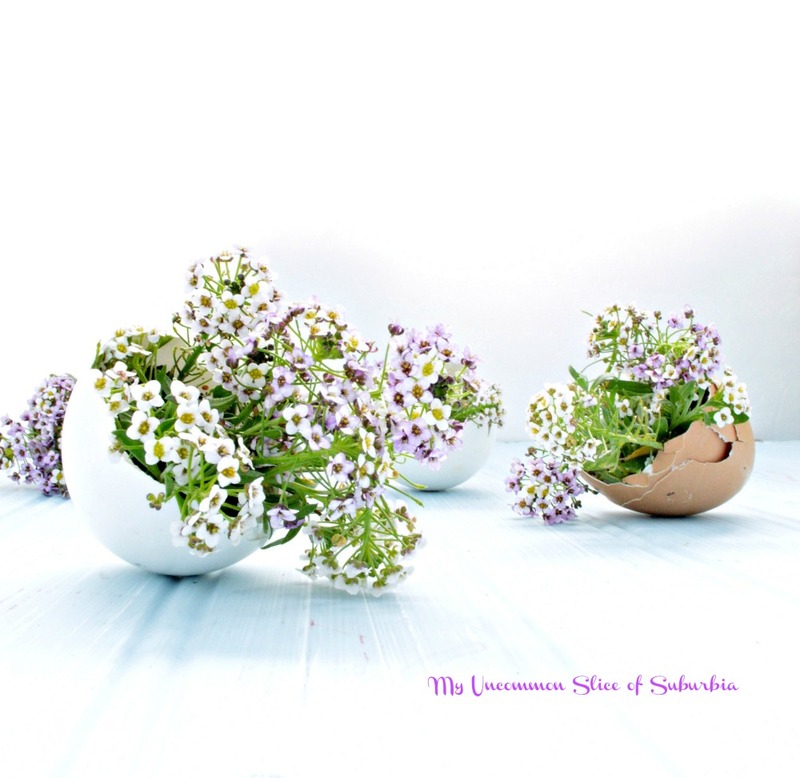 We’re still enjoying the feel of summer here as well but the feeling of fall is beginning and I love this time of year! 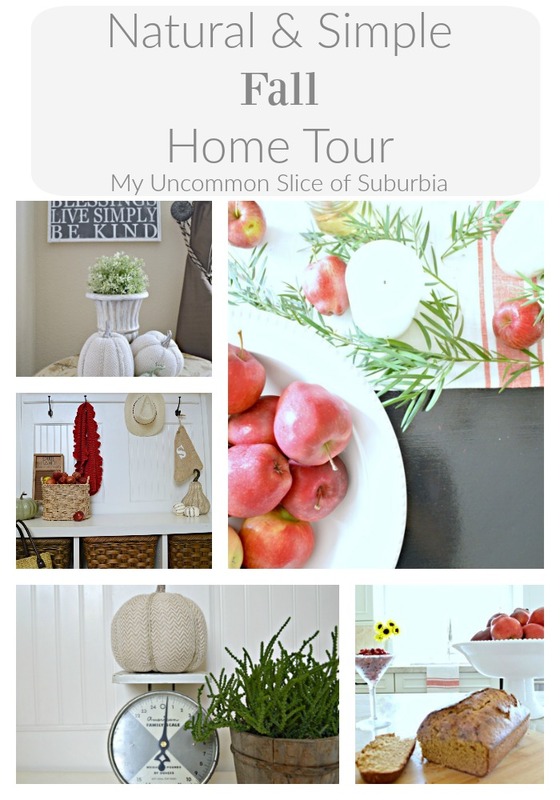 I love your home tour, the apple printable is great too! 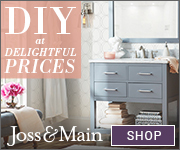 I have always loved your home Kristin, you make it so pretty and inviting with all your touches!! 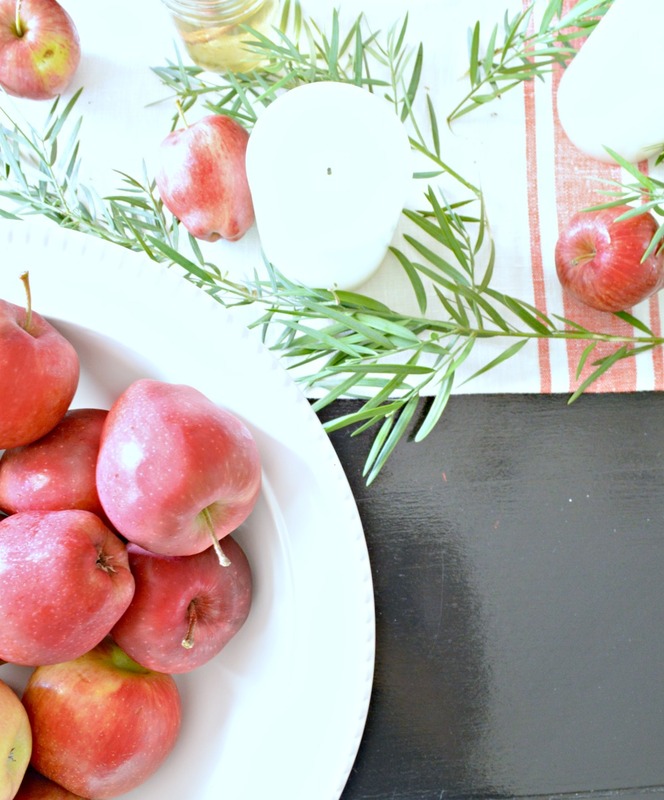 The apples look really pretty with your neutral decor, such a great and natural way to bring fall into the house. oh I love this!!! 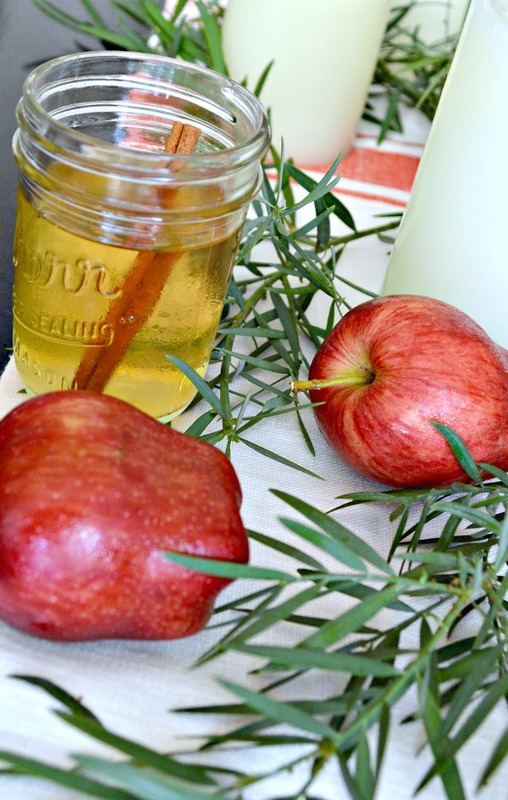 I especially love the use of apples!! Your pumpkin bread looks so tasty. 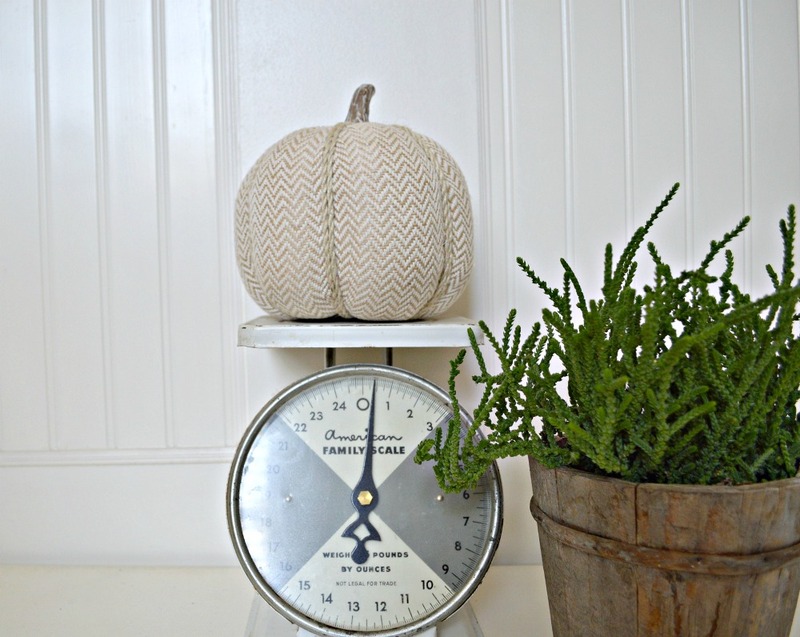 Love your little entry piece and touches of fall! Fun to be exposed to your blog!